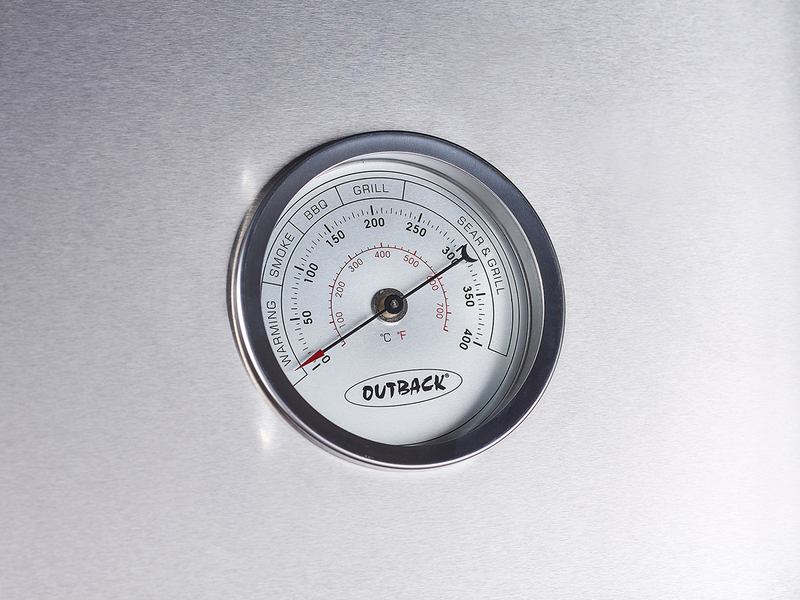 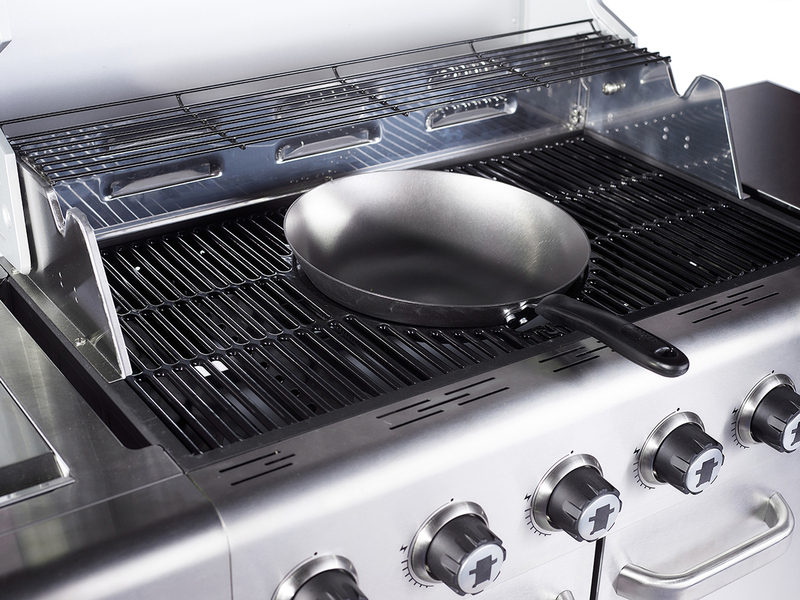 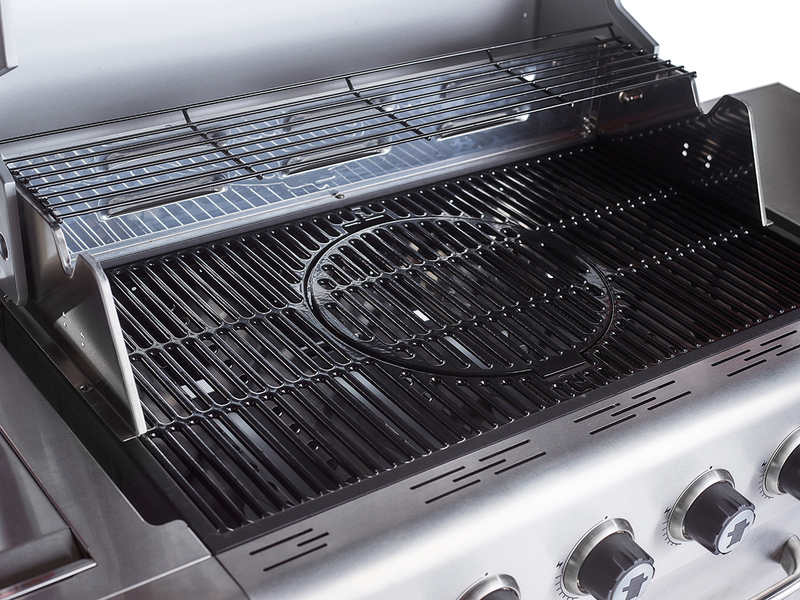 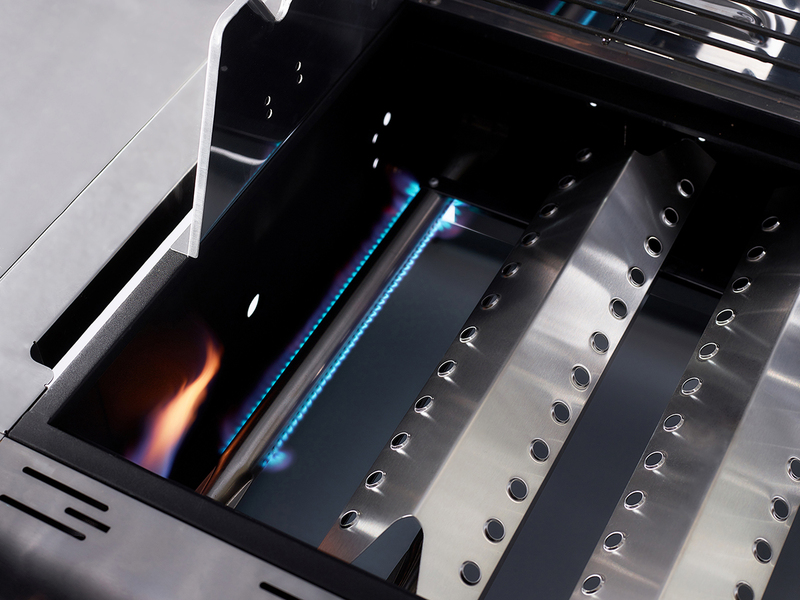 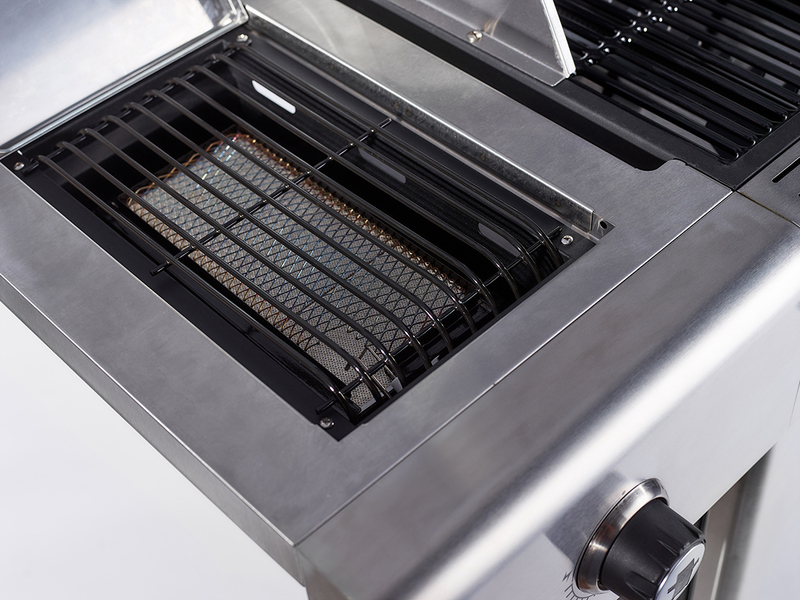 The new Jupiter stainless steel 6 burner demonstrates the latest in Outback quality and design. 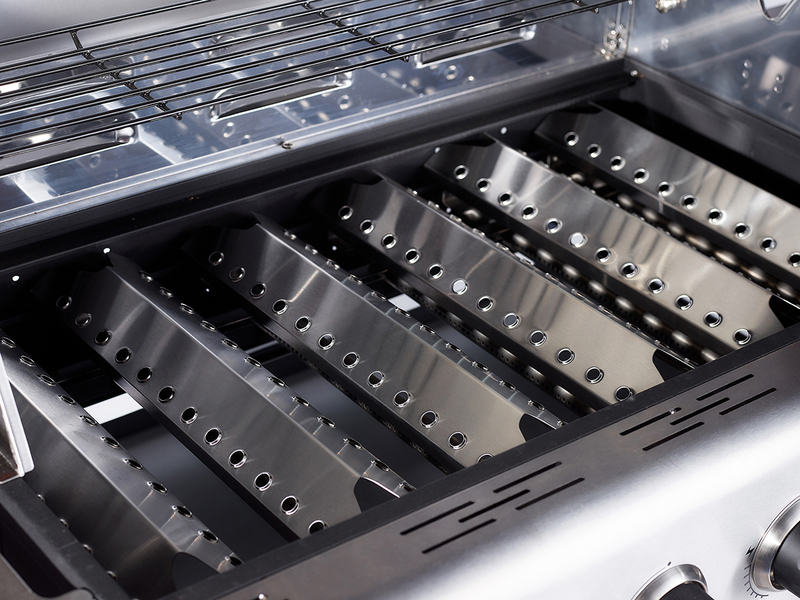 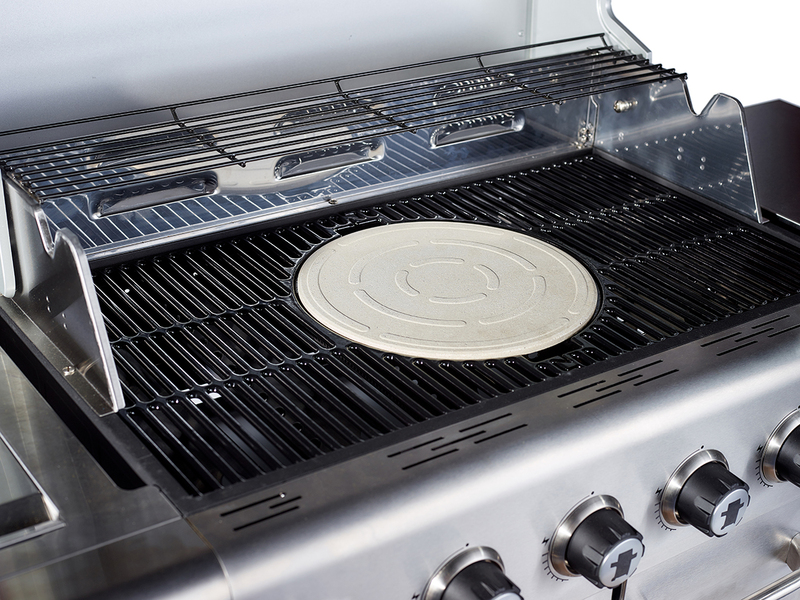 Six stainless steel burners, a side sear burner for that sealed in taste, two porcelain-coated cast iron grills and a multi-cook surface with griddle, pizza stone options are available. 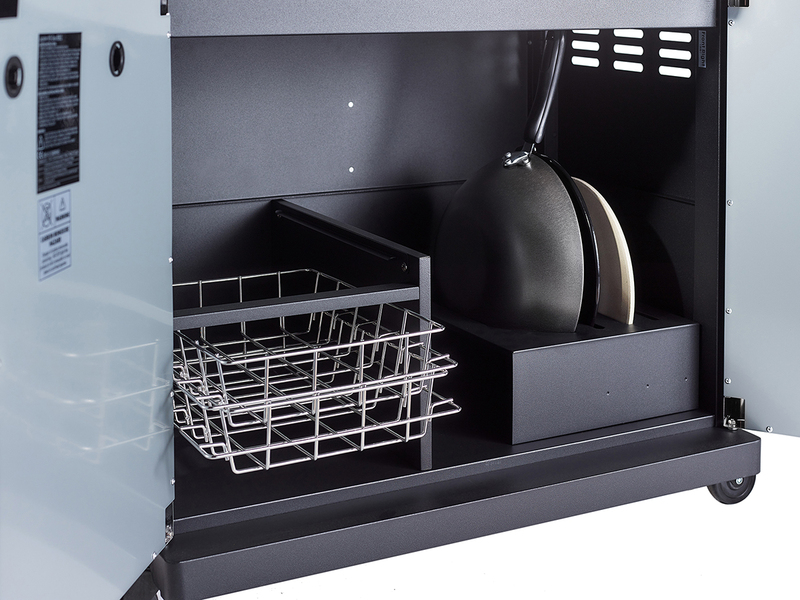 The hood and body are pre-assembled, and a cabinet, two removeable utility trays side table and metal base add ample storage space.